Requesting your kindness to help Mr.Neeraj P K (27 years,ID Number 386756 )one who admitted on Lakeshore Hospital for Liver transplantation. 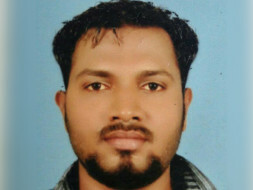 Neeraj is a poor family member and he was the only earning to his family. He was doing construction work for daily wages to take care of his family. His father Kanju is a private bus conductor and mother Vijaya is a house wife. His brother Nidhin is a student. Due to an accident happended in his childhood, the damages caused to his backbone still hinders him from doing strianed jobs including lifting weights. Lakeshore is the fourth hospital that we are moving for his treatement including Amritha Hospital. 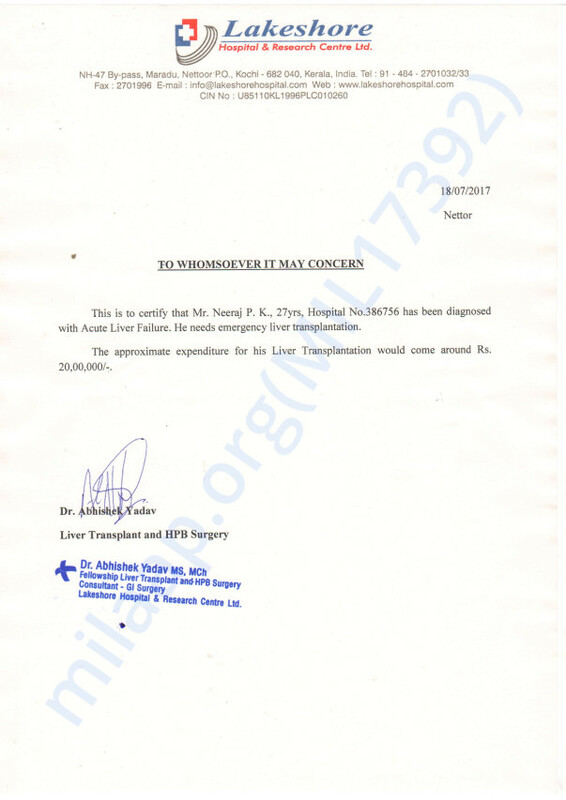 We came to know that Liver transplantation is the only way to save his life and his father agreed to donate it to him. 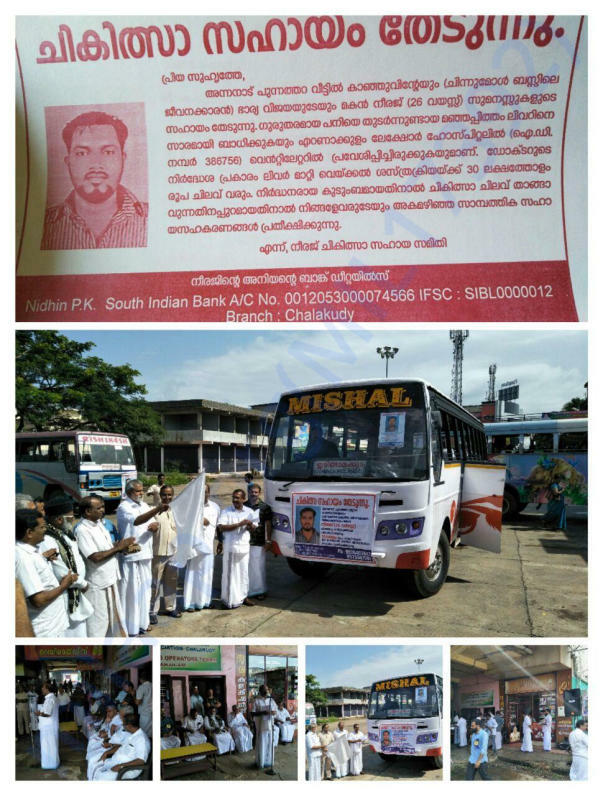 The transplantation will cost around 20 Lakhs which cannot be handled by that poor family. May god make him well soon !